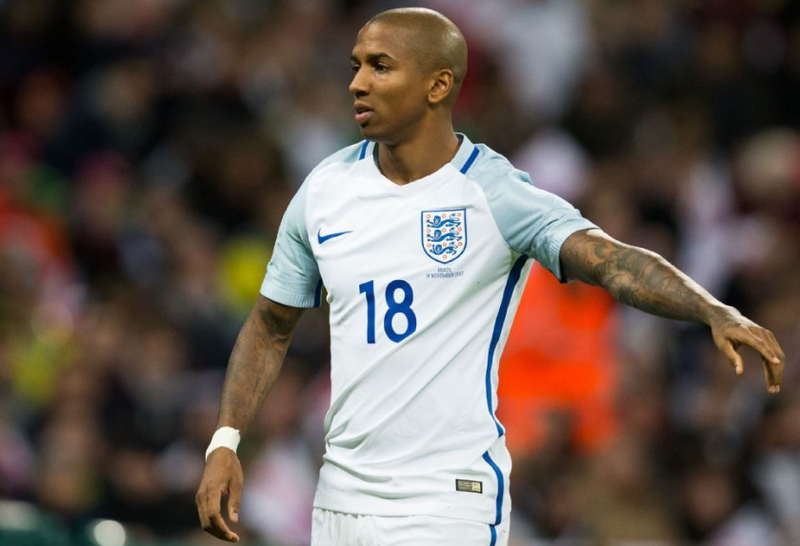 Ashley Young is an English professional footballer who plays as a winger, wing back or full back for Premier League club, Manchester United and the English National Team. 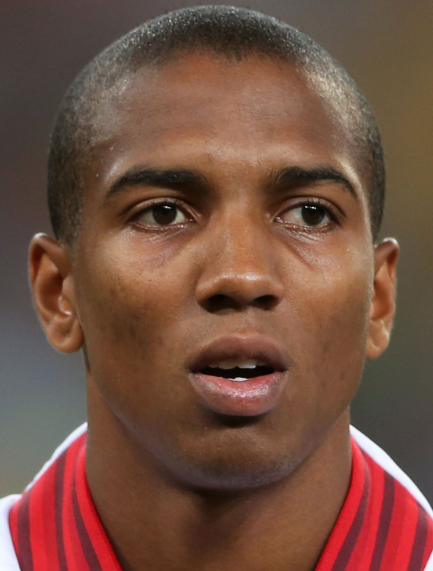 Ashley Young’s real name is Ashley Simon Young was born on 9 July 1985 at Stevenage, England. His father name is Luther Young and mother name is Sharon. He has two younger brothers named as Lewis Young and Kyle Young who were both the footballer and one elder brother. He attended The john Henry Newman School in Stevenage and played school football alongside Formula One driver Lewis Hamilton. When he was 10, he joined Watford academy system. In 2003 he was handed his first team debut at the age of 18. He achieved five substitute appearance on that season. He played in 34 of Watford’s League matches as they struggled to survive in the championship. The match made him win the award of club’s Young Player. In 2005-2006 season he was given to play as a striker and right winger. He started 41 League matches. He played at 2006-2007 season of Premier League as well. Aston Villa signed Young on 23 January 2007 paying the highest fee at that time. He scored on his debut for Villa at St James Park against Newcastle United on 31 January 2007 but Villa loosed. He also played 2007-2008 season and won several Man of the Match awards and was called up by England. He was included in Premier League Team of the year who did not came from the ‘Big Four’ that was Chelsea, Arsenal, Liverpool and Manchester United. On 20 April he scored two goals and assisted two goals for Aston villa. On 10 October 2008 Young achieved Premier League Player of the month award due to his performance in 2008-2009 Premier League season. On 10 January 2009 he againachieved Premier League Player of the month award for December. On 2010-2011 season he became vice captain and played as striker. On 18 September 2010 he ended this season by nine goals and fourteen assists in 39 appearances for Villa in all competitions. Young moved to Manchester united for an unknown fee on 23 June 2011. He signed the five-year deal with the club. He made his debut for United in 2011 FA Community Shield playing full 90 minutes and making the assist on 14 August 2011. He also made his debut on UEFA Champions League on 27 September 2011. He also played in 2014-2015 season for United as wing back on 16 august 2014. He suffered the hamstring injury during the match on 1 January 2015. He returned on 3 February and won against Cambridge United. On 12 April he was named as the Man of the Match after he scored equalizing goal and providing the assist. On 2015-2016 season he signed a three-year contract with Manchester United on 7 August 2015 which kept him at the club until June 2018. His appearance in the match was very slim making only one start in the beginning of the season. He played in the FA Cup and won the cup on 21 May after defeating Crystal Palace. He also played in 2016-2017 season and his first appearance was on 15 September 2016 in Europe League. On 16 April He captained Manchester United for the first time. On 2017-2018 season his first start was on 12 September 2017 in the Champions League in which he was the captain. As young was called up by England he was made to play in the England Under 21 League squad. He continued from 2006-2007 season and earned him at first England Under 21 call up. They reached at the play off for the place in 2007 UEFA European Under 21 Championship. At the final he played for three times and earned 10 caps for under-21s. Young was called up to full England squad in the UEFA Euro 2008 qualifiers on 31 August 2007. On 16 November 2007 he made his first international debut by coming as the half time substitute for England. He did not make the cut in Capello 30-man squad for the 2010 world Cup in South Africa. Young made his first start for England in a Euro 2012 qualifying match on 12 October 2010. He scored his first international goal on 9 February 2011. On 4 June 2011 he got the equalizer. Altogether young scored 6 international goals. In 2018, Young was named in 23-man England national team squad for the 2018 FIFA World Cup. Young’s height is 1.75 meter and his weight is 65 kg. His net worth is $9 million and he earns £110,000 a week. In 2015, Young married to Nicky Pike. The couple has two children named as Tyler and Ellearna.